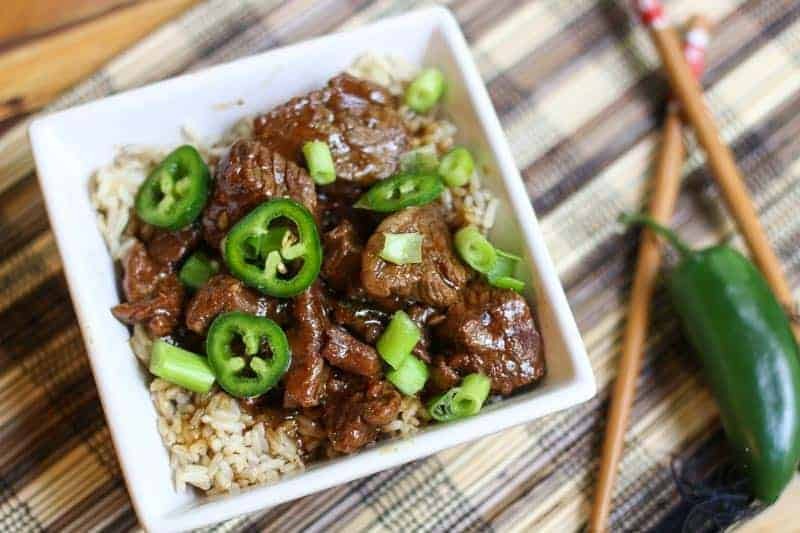 This is a delicious and easy 20 Minute Instant Pot Jalapeño Mongolian Beef recipe. Do you love a spicy, easy, delicious, quick recipe? 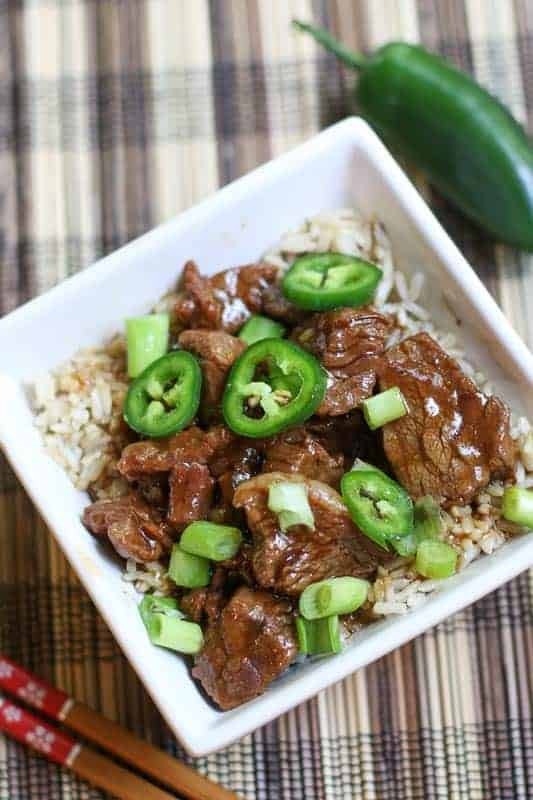 Then you will love this 20 Minute Instant Pot Jalapeño Mongolian Beef recipe. Slice up the ingredients, throw them in the Instant Pot, and in 20 minutes or less, you will have a fantastic meal. There is an Asian restaurant that I go to locally in town that makes a Jalapeño Sliced Beef Dish and I love the flavor combinations mixed with the heat. 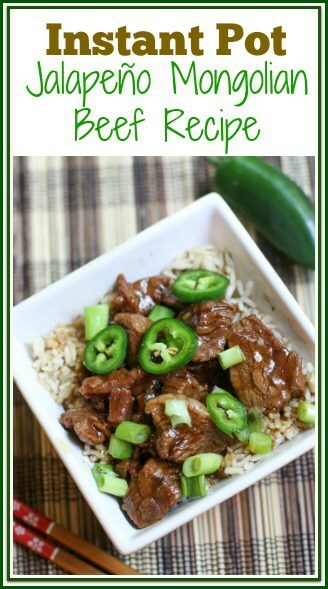 I was trying to cook something up for dinner and I was thinking about making Mongolian Beef. Inspired by the Jalapeño Sliced Beef Dish, I thought; why not add in some of those peppers and give my dish a kick. Verdict? YES!!! 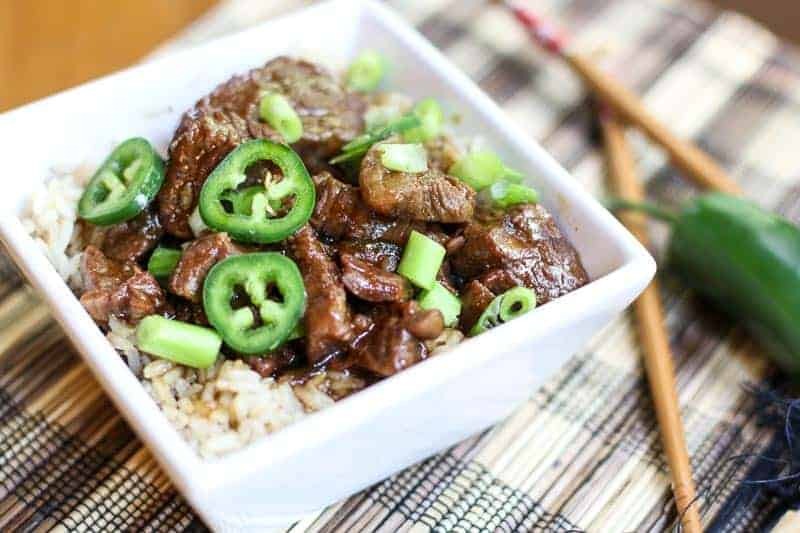 The jalapeño brings that extra flavor and extra spice that takes the Instant Pot Mongolian Beef from yum to YUMMMMMMMM! Of course, preparing it in the Instant Pot makes cooking this dish so much faster and easier. I don’t know how I lived without my Instant Pot. I pretty much use it for all of my weeknight cooking and save my more complex cooking for the weekends when I am not rushed. 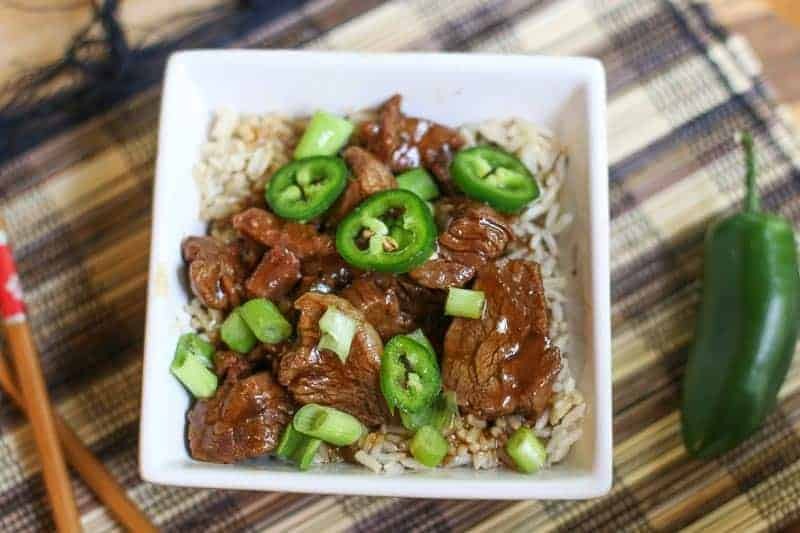 If you like this 20 Minute Instant Pot Jalapeño Mongolian Beef, then you will also enjoy my 15 Minute Orange Chicken Dish. It has a sweet and salty flavor combination and it is a dish everyone in your family would love. If you don’t want this dish to be too spicy, remove the seeds from the Jalapeño. After removing the seeds, this dish really has only a mild hotness. However, if you are skeptical all together, you can omit the Jalapeño, but what would be the fun in that? Slice the steak against the grain into thin slices. Set Instant Pot to Sauté setting. Sauté steak, garlic, and jalapeños for 5 minutes. Add brown sugar, soy sauce, and water. Remove 1/2 cup of broth and place in a bowl. Mix with cornstarch until no lumps. Add broth mixture back into pot. Cook on Sauté setting about 2 additional minutes. Allow it to rest and cool about 3 to 5 minutes and broth will thicken. Garnish with chopped green onions. Serve over rice. I need an instant pot! Love the simplicity it gives to recipes!